The program included talks on a wide variety of topics. Justin Houser (a member of the "Nashi Predky" organizing committee) presented information on sources for finding present-day descendants of ethnic Ukrainians who were deported from Southeastern Poland as part of the Soviet system of mass population resettlements following World War II. He presented an introduction to the historical background behind the deportations, and spoke about methods for identifying which relatives may have been deported, finding records indicating the region to which they were resettled, and using contemporary sources to locate possible living descendants in those locations. Kirill Chashchin spoke about records of genealogical significance that are becoming accessible in Central and Eastern Ukraine, and gave tips on research strategies and methods to maximize the effectiveness of interactions with local and regional archives. 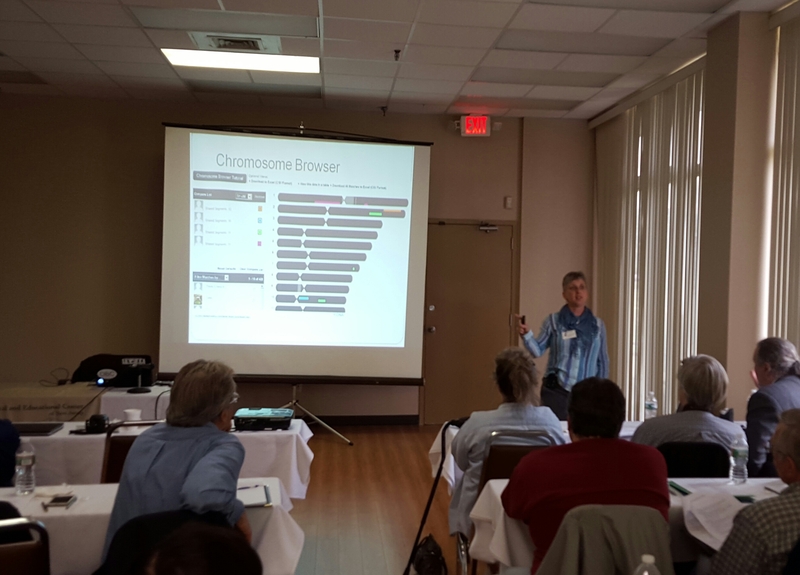 Shelly Morehead (a Certified Genealogist and expert on genetic genealogy) presented a very clear and useful overview of how DNA testing can be used to supplement "traditional" genealogical research methods. 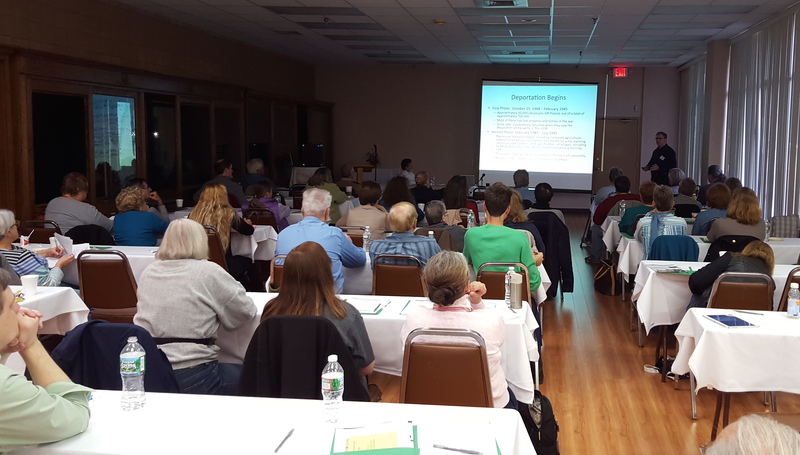 Gail Hahn (from the Monmouth County NJ Genealogical Society) gave an introduction to the information contained in the U.S. Federal Census, and shared some "tricks of the trade" to find badly misspelled or incorrectly indexed surnames using real-life Hungarian and Ukrainian examples. 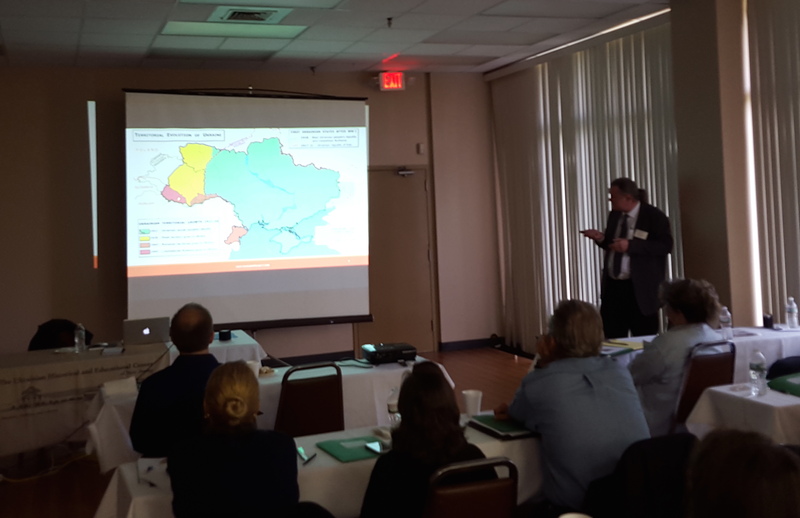 The Center's own Michael Andrec (archivist at the Ukrainian Historical and Educational Center) encouraged the attendees to consider how archives can be used beyond the well known census, draft registration, vital records, and similar governmental and church registries. He explained how archivists organize and describe archival materials, and how a researcher can most effectively make use of this information. "I want to thank all of the organizers and speakers at the Nashi Predky Conference held on Saturday. This was a fantastic conference and I learned so much to help me in my research. Excellent talks by wonderful speakers! Definitely worth the 469 mile drive for me to attend from North Carolina. I encourage anyone with an interest to save the date for the conference planned for Spring. You will be glad you did!" - Cheryl B. As usual, the conference included ample opportunities for participants to network and learn from each other and the presenters in an informal manner. Attendees quickly found people with common background and interests, and were able to tap into the expertise on hand to decipher hard-to-read documents or identify obscure geographical names. Some of those present benefited from serendipitous discoveries. For example, one of the archival finding aids that Michael Andrec happened to use as an example in his talk turned out to have (by sheer accident) the name of an ancestor that one of the participants had been searching for information on for years! The "Nashi Predky" series will continue with the Spring Workshop in March 2016, which will be a very special event featuring staff members of the U.S. Holocaust Memorial Museum. They will present information on wartime and post-war records related to Nazi persecution, forced laborers in Germany, and displaced persons. The USHMM has direct access to the database of the International Tracing Service, and they will be bringing their computer terminals so that you will be able to do on-site research!